In this, the final tale of The Nandia Trilogy, the Galactic Grand Council confirms that Nandia has gone missing. Bernard struggles within himself to gather enough information to even begin a search. He does learn that Praesepe, Nandia’s home planet, has come under siege. The Council summons Elli, immortal former queen of Aesir, and Dunstan, the magical troubadour of Geasa, to join Bernard on a mission to unravel the mystery. They learn that an unknown disease on the planet Erylia has laid waste the health of its adolescent youth. The planet, mired in despair over the end to its future generations, has undertaken a program to replace their ailing youth with healthy breeding stock from Praesepe. Nandia’s home is now under siege, as an entire generation of young Praesepians is being kidnapped. Nandia’s grandchild Grace is one of the many incarcerated on Praesepe, marked for deportation to give birth to future Erylian generations. Not only are Erylians shielding telepathic communications, they are hunting Nandia. With the help of new allies, Bernard, Elli and Dunstan must use all their resources to infiltrate the Erylian command structure and find a way to restore the fate of two societies on the verge of decimation — one desperate to recover its future as it steals the tomorrows of another. 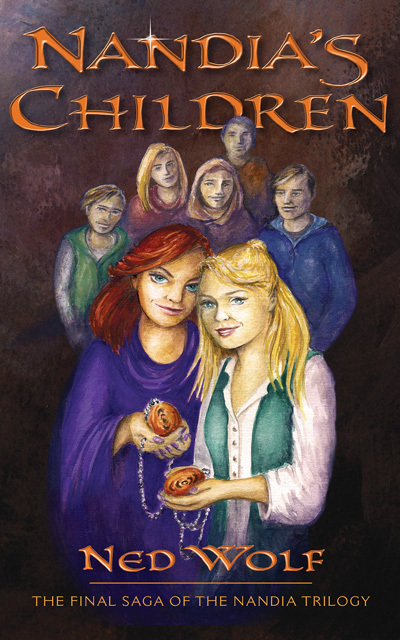 Click on this link to read online or download a sample chapter from Nandia’s Children. 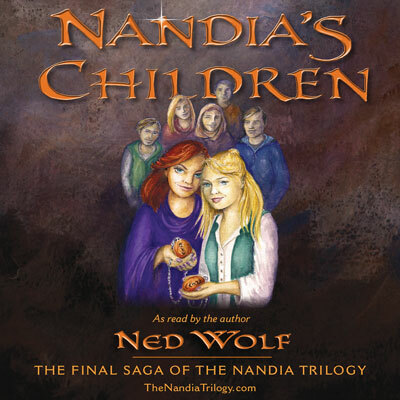 “Nandia’s Children” is the final volume of The Nandia Trilogy.